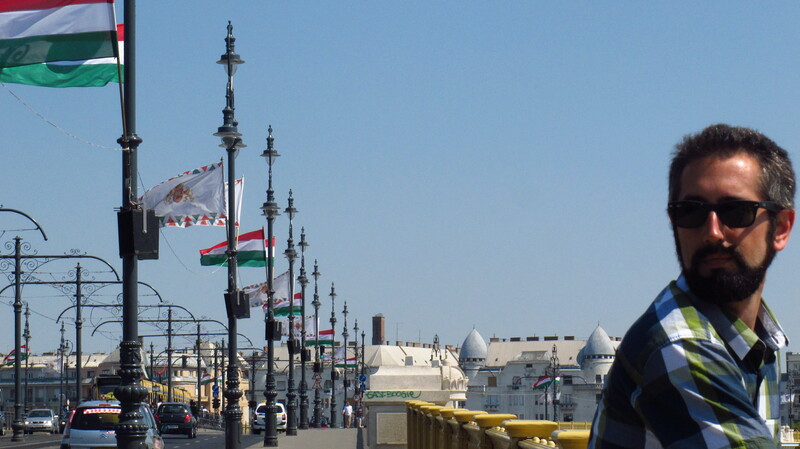 I had already visited Budapest at the beginning of my trip, so now that I was back in the city there was only one thing I wanted to do, one thing I had not had time to do on my previous stay in the city – go to one of the city’s bath, and spend the day doing nothing but relaxing. Well, there were in fact a couple of other things I wanted to do, but in the end only managed to do one of them. 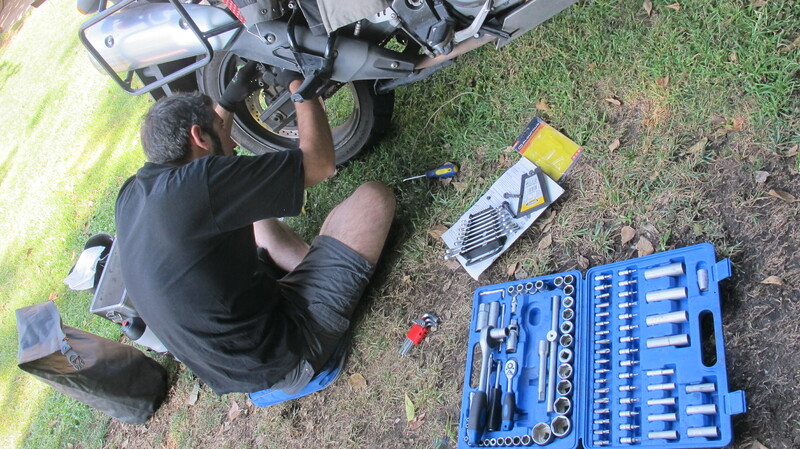 I needed to replace the rear brake pads and to tighten the chain, and I had been waiting to get to BikerCamp to do so, as there is space to work and you can borrow tools (which I no longer had after Tallinn…). Sleeping in a tent means that you wake up with the sun, so I was up early and had time to do that in the morning. The second thing I wanted to do was find a motorbike shop to buy a kidney belt, as my back was starting to feel the time on the road and I could no longer ride +200km non-stop, but this proved to be impossible. It was a national holiday and there was also a folk festival going on in the city, so everything but a few supermarkets was closed. Instead of going shopping we went for a walk in the city, but we could not go up to the citadelle, as there was the folk festival going on and we had to buy a ticket. It was a bit of a relief, mind you, as it was way to hot to walk all the way up. We had lunch and then splashed out on a wonderful frapuccino before heading for the baths. There were several places to chose from, and in the end we settled for the Gellert baths, which were popular, in a very interesting building and had been recommended by a friend. The place was enormous, with several indoor and outdoor swimming and bathing pools, and after being kicked out from the indoor swimming pool for not wearing a cap, we went to the outdoor thermal bathing pool. The water was at a very pleasant 36ºC and there were water jets where I could massage my sore back, so we spent the rest of the day there, just relaxing, until it was closing time. By the time we left the place it was already dark, and the air was cool, so we decided to walk back to the camp instead of taking the metro. It had been one of the best days of the whole trip. We did some shopping on our way and after dinner we found a hostel for our next destination – Belgrade. I was very excited about the following day, we were going to be out of the EU again and into a part of Europe that I had never seen before. 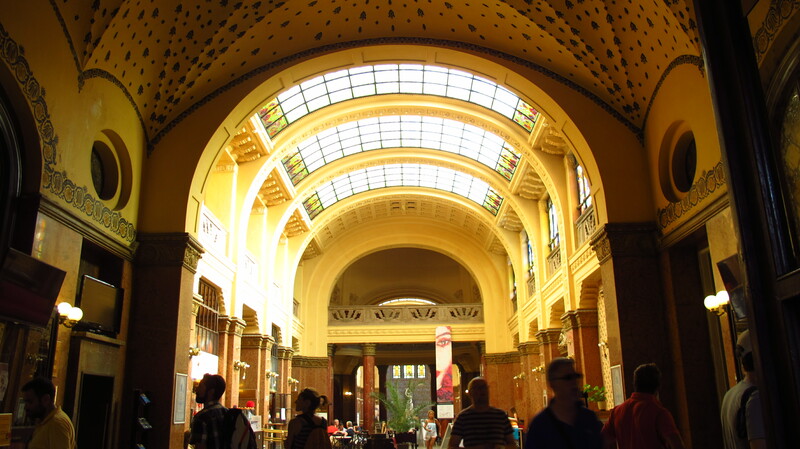 This entry was posted in Stroming The World 2013, Travel and tagged baths, Budapest, STW 2013 by Kilian. Bookmark the permalink.